Valley Metro provides public transportation alternatives for the Greater Phoenix Metro Area in the USA. 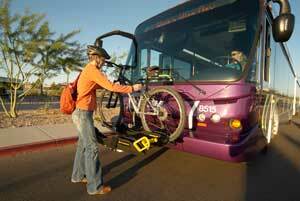 All Valley Metro buses are equipped with bike racks on the front of the bus. You can ride your bike to the nearest bus stop or Park-and-Ride location with racks being available are available on a first-come, first-serve basis. So if the bike rack is full, you will need to wait for the next bus. 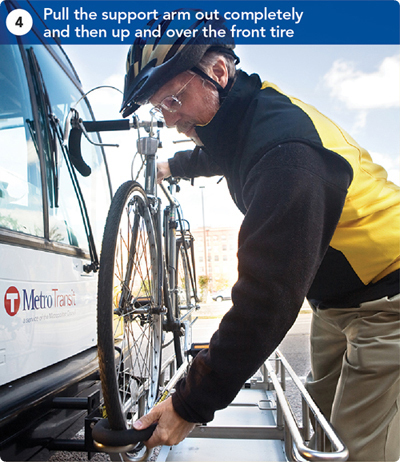 Metro Transit in the Minneapolis area USA offer a bike-n-ride service on both buses and trains. Brompton Bike Hire was created to address the clear need for a cycle hire scheme that is accessible to all, easy and cheap to install and run, economical to use, not dependent on state subsidies, flexible and compact. 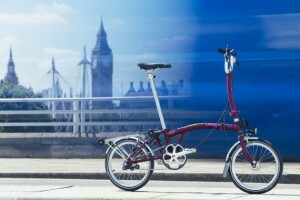 The Brompton folding bike can be taken to work or home, you can even take it on trains, buses and the overground at peak times. 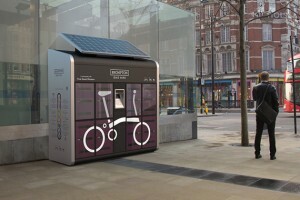 Bikes can be booked online and are stored in a “Dock” for collection at various locations. 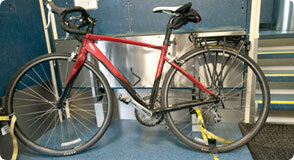 On Virgin West Coast Mainline trains can take up to four bikes, and on the Pendolino trains there’s even space for two tandems. It’s free, but remember to reserve your space in advance. 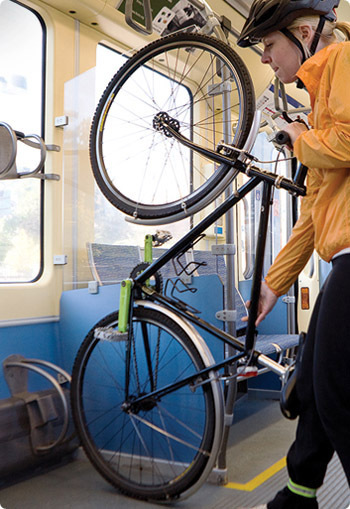 You’ll need to board your bike at least 10 minutes before departure allowing enough time to walk to coach A to load your bike in the dedicated space. If you need a hand with this, just ask a member of staff and they’ll be happy to help. Remember to pick up a bike tag from the station ticket office, it lets the onboard team know how far your bike is riding with us. If you’d like a hand unloading your wheels, ask the Train Manager and they’ll organise someone to be there to help you at your stop.